Orik Trueheart: We’ll be flying directly to the island. My friend said that the warrior never entered the shrine itself, they were after one of the tombs. 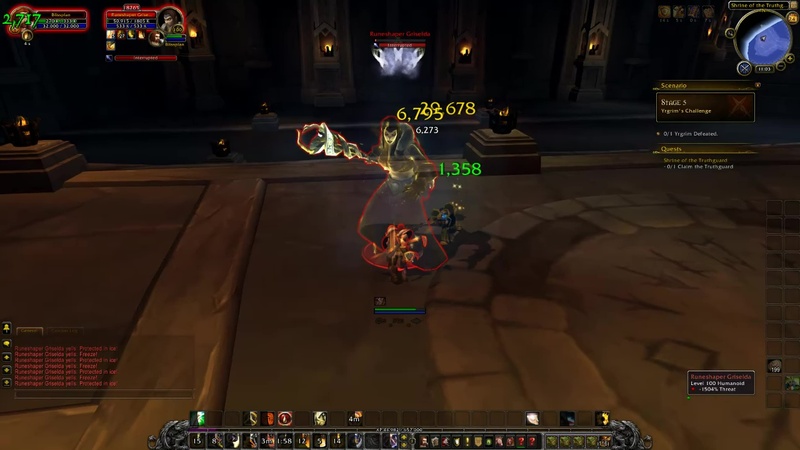 I’m guessing that since that vrykul hero couldn’t enter that it’s still protected by power unique to Tyr. I’m thinking that we may have a better shot than most other people at this. Let’s get into the shrine and see if that shield is still there. 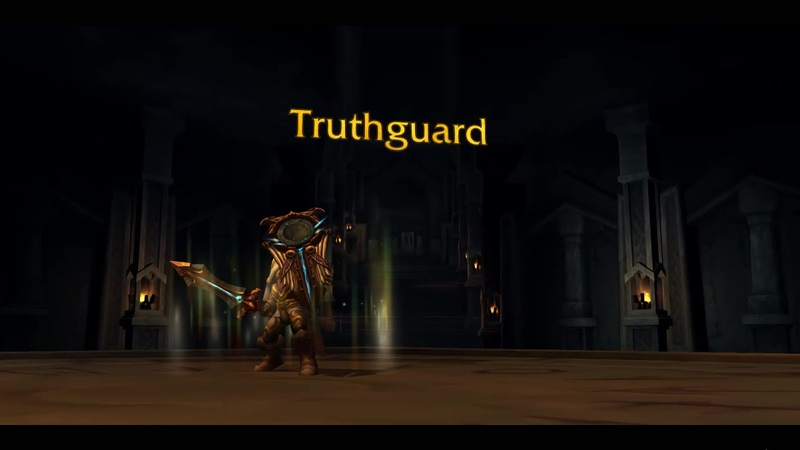 Go to Shield’s Rest in Stormheim and claim the Truthguard. 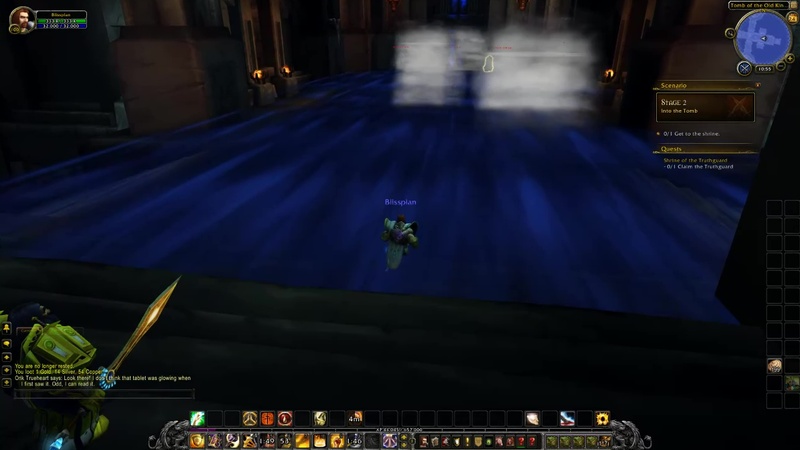 Orik Trueheart: Just mount the bird here and follow me! To Stormheim! Orik Trueheart: I’m telling you Cato, the shield is here! I can feel it! Cato: I’m here aren’t I? Let’s find your shield and get back to the war. Orik Trueheart: Here’s my friend now. Glad you could make it. There’s the tomb, let’s get in there and find that shrine! We’ll follow your lead. 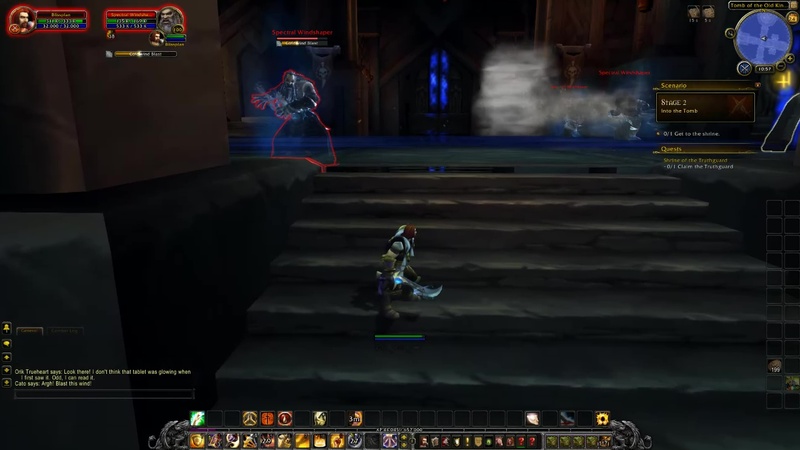 Inma the Crypstalker: Hold it right there! You are unworthy of this place. Leave at once! 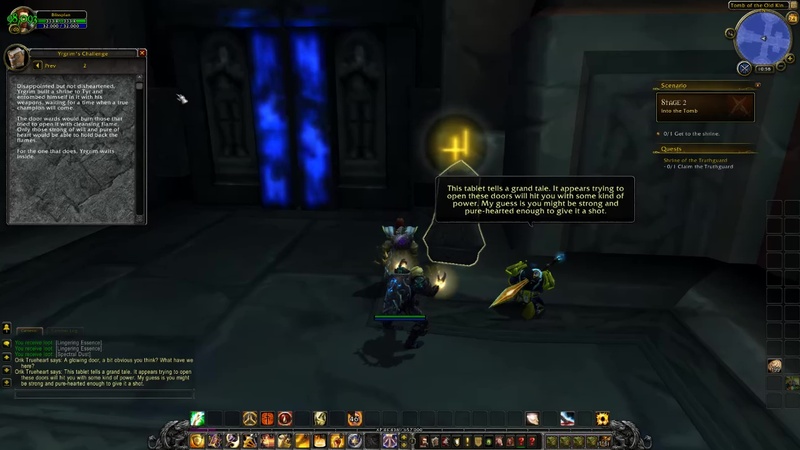 NOTE: Three vrykul and 6 Guardian Orbs spawn when you enter the Tomb. 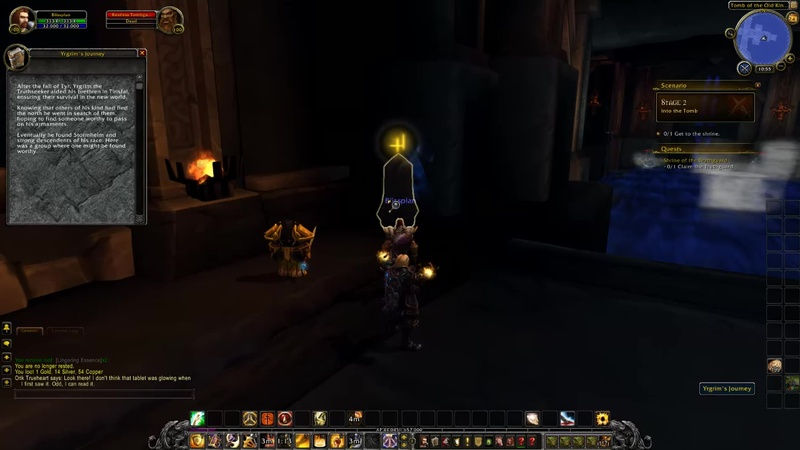 Use AOE abilities to dispatch the orbs quickly. They cast chain lightning. Orik Trueheart: Look there! I don’t think that tablet was glowing when I first saw it. Odd, I can read it. 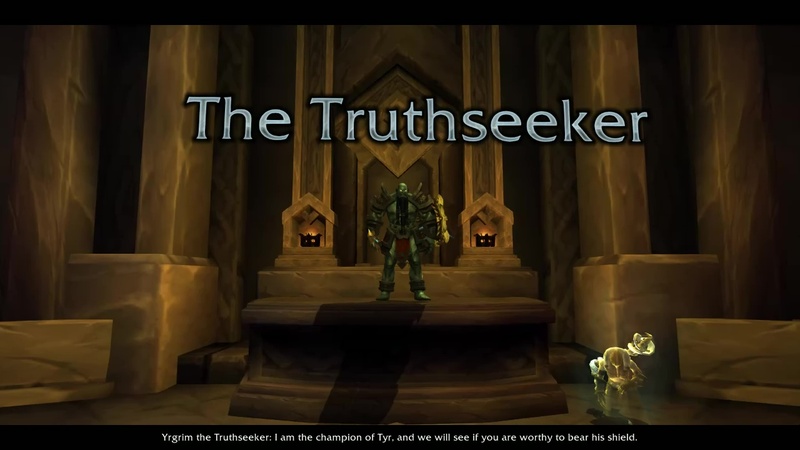 After the fall of Tyr, Yrgrim the Truthseeker aided his brethren in Tirisfal, ensuring their survival in the new world. Knowing that others of his kind had fled the north he went in search of them hoping to find someone worthy to pass on his armaments. 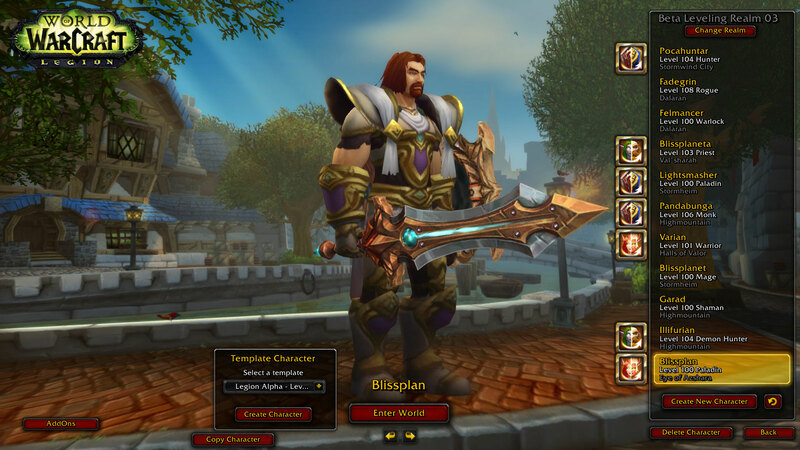 Eventually he found Stormheim and strong descendents of his race. Here was a group where one might be found worthy. NOTE: After the room is a sort of bridge. 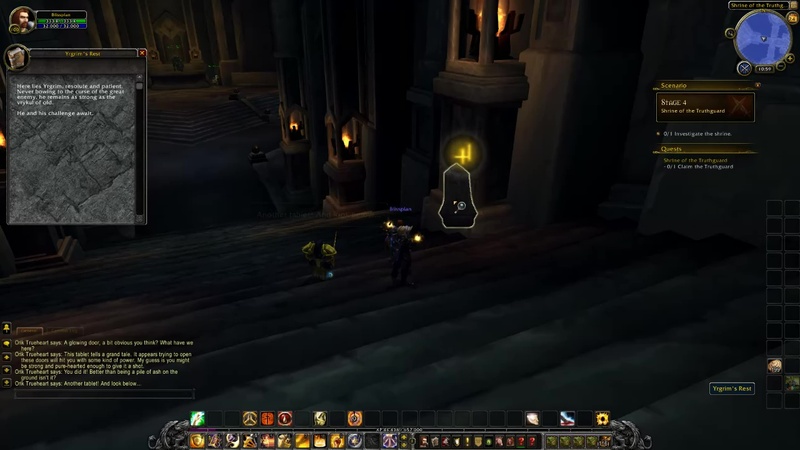 Three Spectral Windshaper (vrykul casters) constantly hurl small tornados across the bridge which drag you back to where you started. The wind keeps slowing you down too. Dodge the tornados, and step to the side of the bridge once you go past the center. On the side is a stairway with no wind. 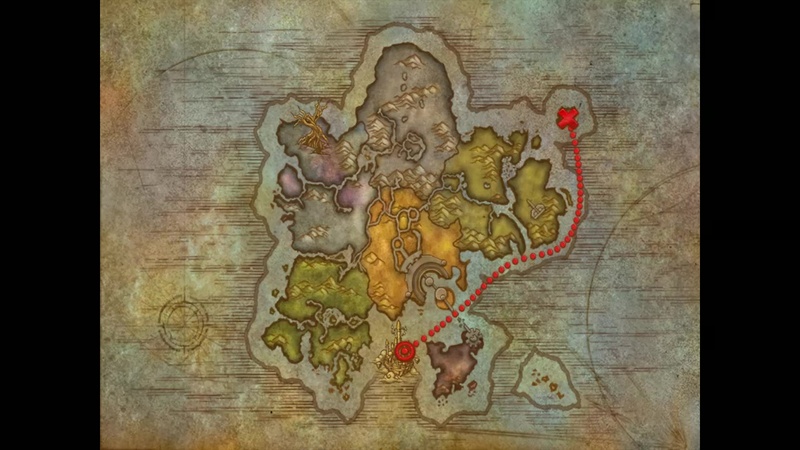 From there you will pull one vrykul at a time. Cato: Argh! Blast this wind! On an island of stone Yrgrim built an arena. he proclaimed to his brethren that he sought a successor strong in will and body, and pure in heart. They would have to pass his trials in order to claim his weapons. 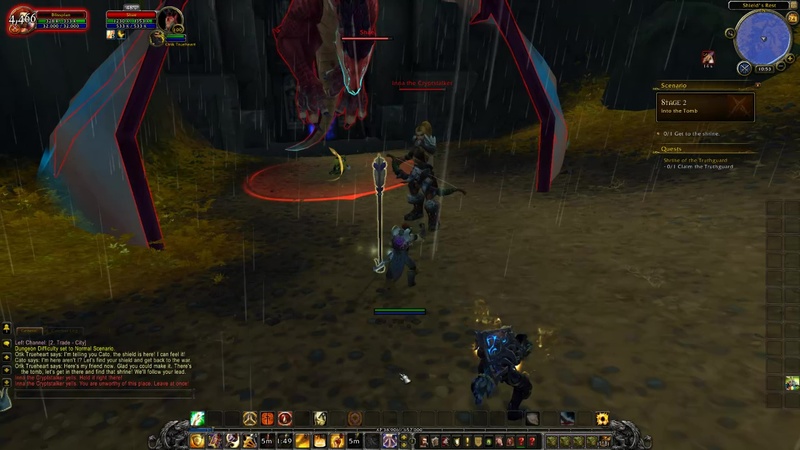 Many of berserkers and dragonriders answered Yrgrim’s challenge, but all met with failure and death. Yrgrim answers challenges for years until the challengers stopped coming. Disappointed but not disheartened, Yrgrim built a shrine to Tyr and entombed himself in it with his weapons, waiting for a time when a true champion will come. The door wards would burn those that tried to open it with cleansing flame. Only those strong of will and pure of heart would be able to hold back the flames. For the one that does, Yrgrim waits inside. 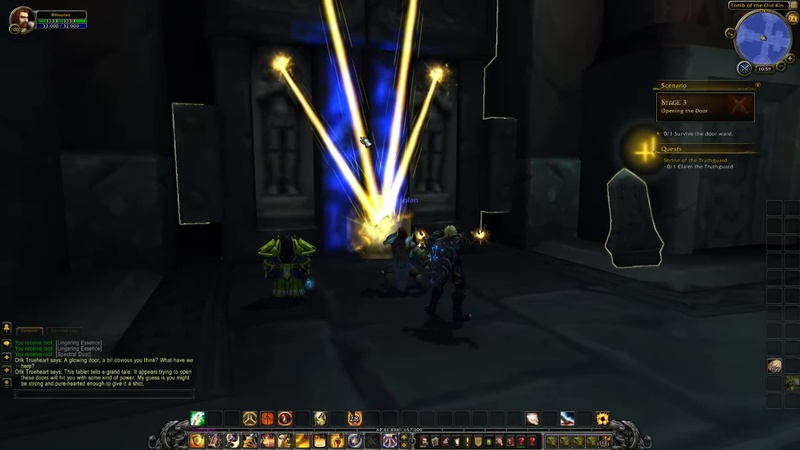 Orik Trueheart: A glowing door, a bit obvious you think? What have we here? This tablet tells a grand tale. It appears trying to open these doors will hit you with some kind of power. My guess is you might be strong and pure-hearted enough to give it a shot. 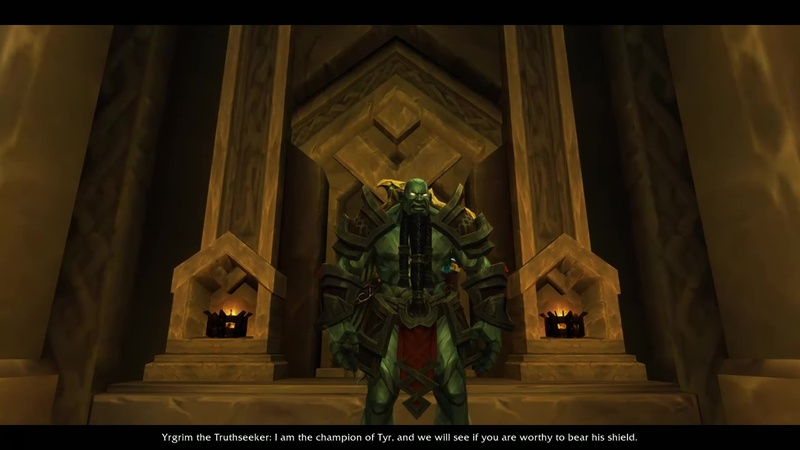 Orik Trueheart: You did it! Better than being a pile of ash on the ground isn’t it? Here lies Yrgrim, resolute and patient. 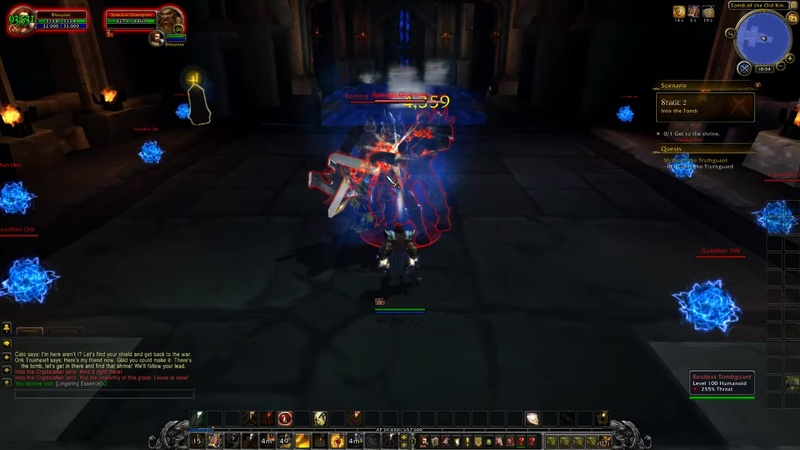 Never bowing to the curse of the great enemy, he remains as strong as the vrykul of old. He and his challenge await. Yrgrim the Truthseeker: I bid you greetings, Opener of Doors. You are the first. I am the champion of Tyr, and we will see if you are worthy to bear his shield. Yrgrim the Truthseeker: I have waited a long time for someone like you. I sense you are the blood and have the heart. Face me in battle and we will test your strength. 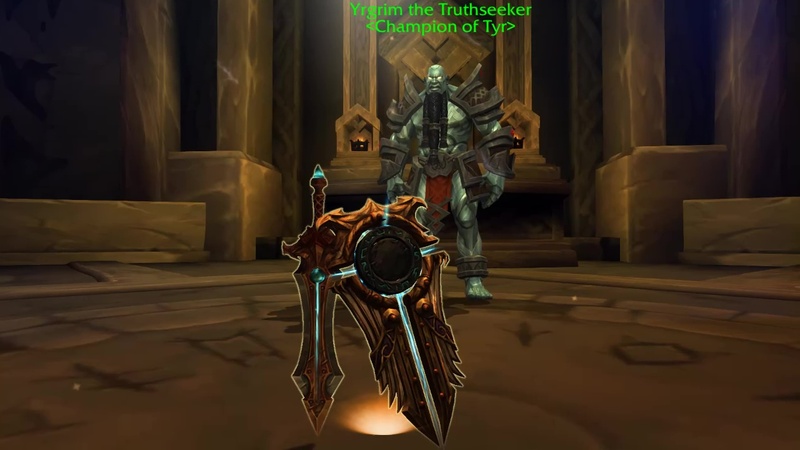 Yrgrim the Truthseeker: I must see if you have the will, the strength, and the stamina to wield this shield well. Will you face me in a trial of combat? Yrgrim the Truthseeker: Then we will begin! 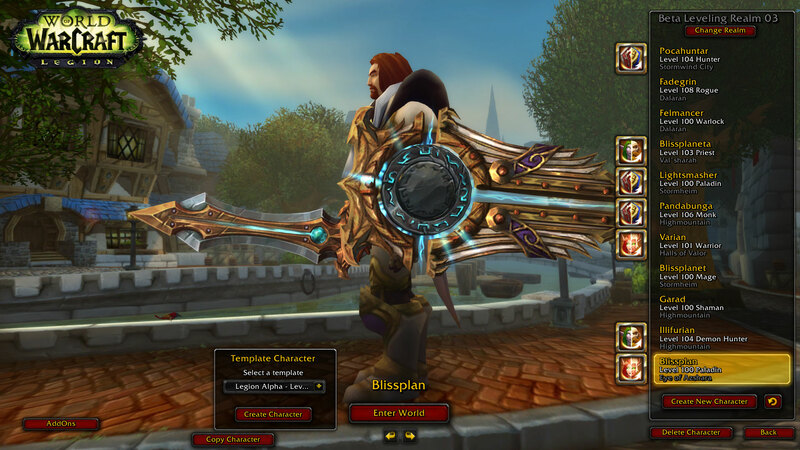 Runeshaper Griselda: Who DARES challenge the Truthseeker?! I will freeze you where you stand! Yrgrim the Truthseeker: I am beaten. You are worthy. If Tyr were alive he would make you his champion. I hereby pass on Truthguard to you. 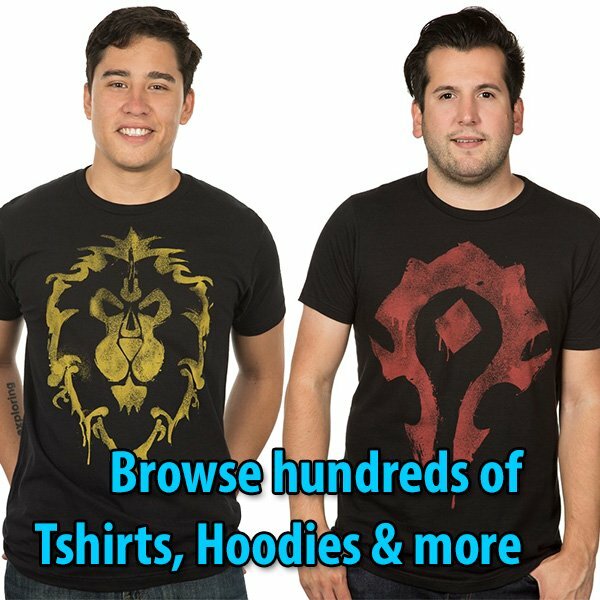 Use it to defend Azeroth from its enemies. 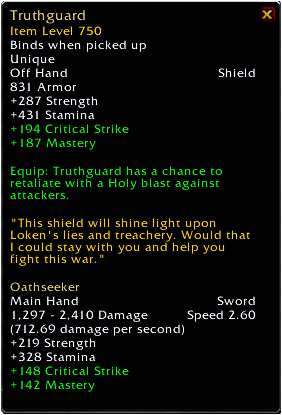 Orik Trueheart: Amazing, I’m glad the shield is in your hands. We’re going to head back to Dalaran and report to Tyrosus. 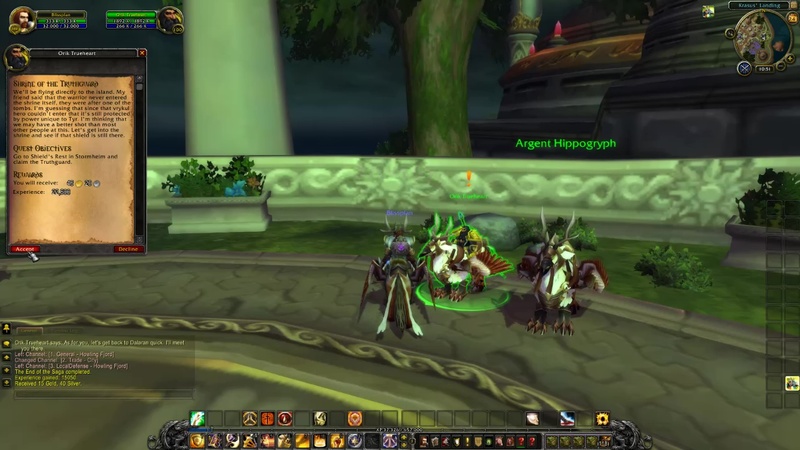 If you need a ride you can take my hippogryph outside. 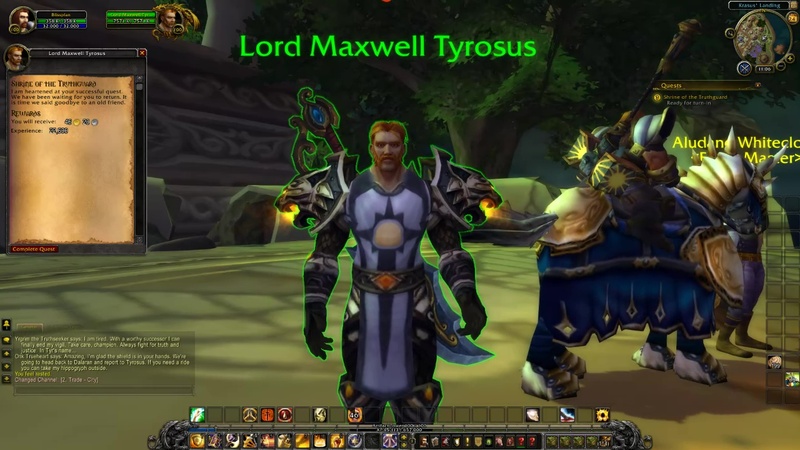 Lord Maxwell Tyrosus: I am heartened at your sucessful quest. We have been waiting for you to return. It is time we said goodbye to an old friend.